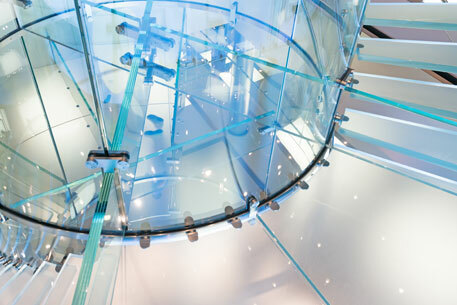 At Glass Design and Build London, we specialise in many types of frameless glazing and architectural glass structures, such as glass flooring, glass canopies, atriums, staircases and many other situations where high specification and structural glazing can be used to add a unique and contemporary finish to your project. 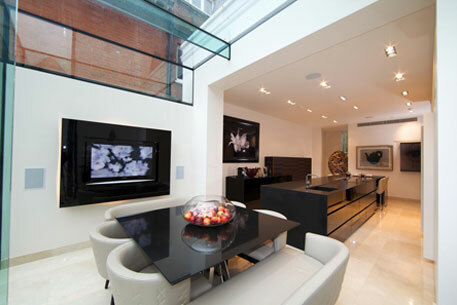 Our modern structural frameless glass systems provide numerous possibilities within architectural glazing design. 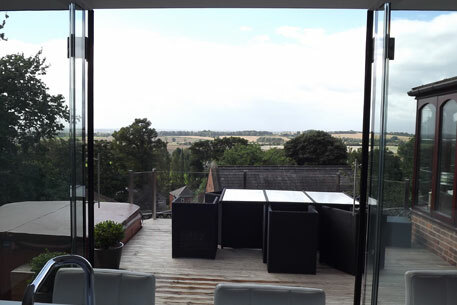 Our ultra modern frameless glazing system is the perfect method of maximising the degree of pure natural daylight transmitted throughout your home, whilst creating a unique aesthetically pleasing architectural feature. Our combined frameless glazing systems are almost always designed to create a comprehensive flush exterior finish. The oversized glass units are generally reinforced by using structural glass beams or in the situation of a glass to glass corner, reinforced through the adjoining glass itself. The glass units can be supported and retained by using our exclusive and bespoke stainless-steel fixtures that have been designed specifically by and for Glass Design and Build London. To see how we can best assist and enhance your project with our knowledge, products and expertise, please call us on 0207 074 8989, or email us through our contact page.